Plumbing Services in Singapore: Leaking Basin Tap - Replace Or Repair? Leaking Basin Tap - Replace Or Repair? 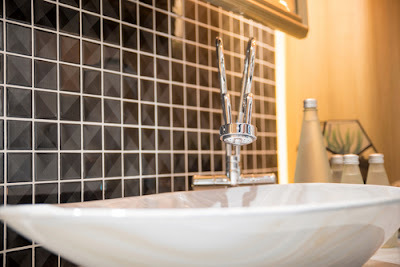 One of the common issues you are likely to face with your sink and basin tap is leaking water. 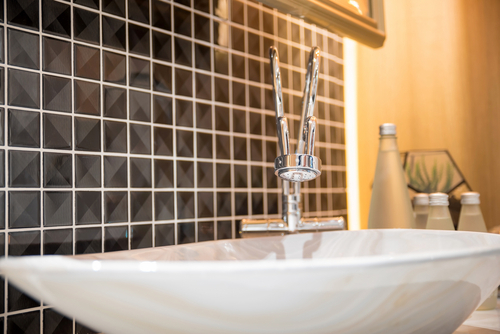 Leaks can increase the moisture around your tap and sink leading to accumulation of bacteria and germs. It does not only result in a waste of water but can also put your family at risk when the mold and mildew start to pollute your indoor air quality. It is therefore important to immediately fix leaking basin taps as soon as you notice them. Fortunately, most cases are DIY and do not require much technical knowledge to accomplish. However, not all leaks can be solved through repair. Some need complete replacement of the tap or various components. You should be able to determine the right option for your situation. Other cases may require professional plumbers who have the experience and insights to fix any leaking basin tap. In order to know whether you need repair or replacement services, you must first identify the cause of the leak. A basin tap basically consists of the tap, basin, bolts and pipes as well as isolating valves. Leaks can be as a result of loose bolts and screws, damaged valves or broken pipes. Loose bolts and screws are easy to fix as all you need to do is tighten the bolts back in place. Broken pipes can also be repaired and installed back in the plumbing system. Damaged valves and taps however require replacement. You can also consider replacement if you have an old basin tap that leaks some days and then remains in perfect functioning on other days. High water pressure can also push valves and the sealing tapes placed to prevent leaks on bolts resulting in leaks. Tap leaks are usually caused by damages in the washer, jumper valve or o-ring. The washer can be made of ceramic, rubber or cartridge. Although these parts wear out differently, it is often recommendable to purchase the whole set before dissembling your system and replace them. After you realize leaks on your basin tap, the next logical step is to find solutions for the problem. The two options you have are repair and replacement and the choice is determined by your situation. The first step is to turn off your water supply and then try to repair the system before calling for assistance. If your efforts do not yield results, call for professional plumbers to handle the issue. • Repairing procedure – To repair leaking basin taps, turn off your main water supply and then open the tap to empty all water in the system. Unscrew all the holding nuts in your old tap and remove connectors that join the tap to pipes. Use a crank spanner to remove the nuts that secure the basin to the pipes. 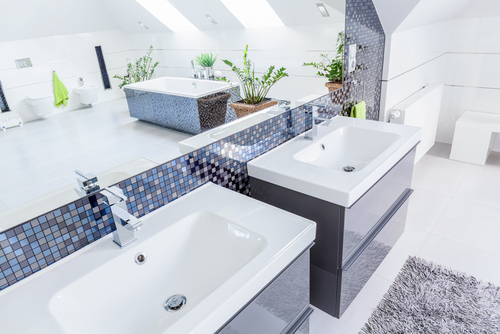 Check for damages that require repair services like cracked pipes and crevices on the basin. • Replacement – Most leaking taps will require replacement rather than repair. It is much safer to replace broken pipes, valves and taps instead of repairing them. New replacements last longer and will prevent any further leaking. Once you have unscrewed the different parts, simply remove the damaged pieces and replace them with the new ones. For o-rings and jumper valves, you need to purchase the same model as the old damaged parts for them to fit in place. When your basin tap starts leaking, it is probably a result of worn out valves, washers and o-rings. You can easily dissemble the system and replace damaged parts with new ones if you have a simple basin tap. Other complex designs may require unique tools to unscrew and dissemble the system. While many people can achieve simple repair and replacement duties on their leaking basin taps, it is often advisable to use professional plumbers. Repairing or replacing such parts requires technical insights and various tools that you may not have. Professional plumbers have profound experience in the field and also own all the tools required to accomplish tap repair and replacement. What’s more they can diagnose other issues that may have facilitated the damage that caused leaks. In developed regions like Singapore, finding plumbers should not be an overwhelming duty since they are many in the market. However, not all of them can guarantee desirable services even though they all promote their offer as the best. When some simply lack the capacity to handle your requirements, others offer cheap quality nonprofessional services. It is therefore important to carefully review the business and services before spending your money. Fortunately, reliable plumbers have various hallmarking attributes that can be used to distinguish them from others. 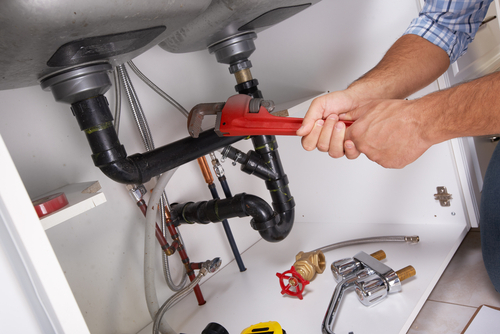 Professional plumbers will determine whether you need replacement or repair services. • Good reputation – Plumbers that have consistently provided top quality satisfactory services will definitely have a good reputation within the area. Look through reviews, comments and testimonials from previous clients to learn from their experiences. • Long serving experience – While some new plumbers are able to provide high quality services, it is still advisable to check what long serving experienced businesses have. They depict profound knowledge and streamline service delivery perfected over many years of service. Other aspects to consider include professionalism, use of high quality materials and brands, affordability, exceptional customer service, quality guarantees and provisions. Only use the services of reliable plumbers known to solve such issues. Leaking basin taps are very easy to repair since it involves tightening loose nuts and parts of the system. However, most leaking taps require replacement rather than repair and this can be difficult to achieve if you do not have the tools needed. Some designs are also overwhelming to dissemble and require professional insights to rectify. If you have a leaking tap, the best approach is to take a keen look at the system and cause of leakage. If it is something you cannot achieve without professional help, simply turn off the main water supply and find dependable plumbers to help you out.